For a small business, losing just one employee to frequent sick days (absenteeism) or an extended absence can lead to significant productivity losses. It can also damage morale as the remaining employees are then forced to pick up the slack. Large businesses are no longer the only ones who are implementing employee wellness programs. Small businesses are following in their footsteps, realizing that these programs can not only reduce healthcare costs, lessen worker’s compensation claims, decrease absenteeism and prevent employee turnover, but they can also increase productivity, reduce stress and improve the attitudes of employees. If you are considering a wellness program to save money and have a healthier, happier workforce, consider some of these ideas to get started. Encourage employees to include healthy activities into their workday. And, make this both practical and possible. For example, organize walking meetings, allow extended lunches for employees to work out or go for a run, or support standing desks. Ask for employees’ feedback. 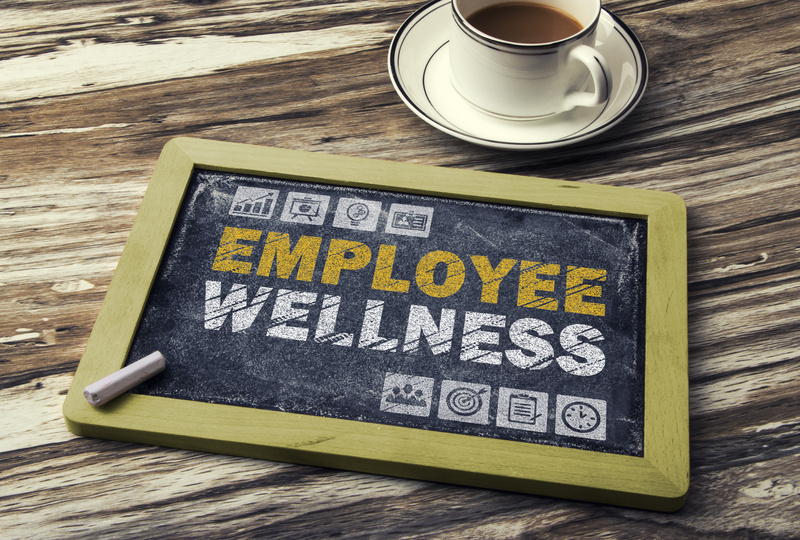 Ask employees what they feel can be done by the business to help improve employees’ health. Leadership Buy-In. Start wellness program activities at the leadership level and lead by example. Make your leaders the health promoters for the company. Make your work environment reflective of a healthy culture. Take a look around your work space. Does the physical environment make it easy for employees to get or stay healthy? Request employees to share their success. Encourage employees to share health-related efforts and successes with others. Discuss health and wellness alongside business decisions. For example, if you’re considering relocating or changing working hours, consider employees’ health as an important factor in decision-making. Provide rewards and incentives. Use a rewards, incentives or recognition program to recognize, award or celebrate health success. Clean out the kitchen. If you have an open kitchen, cafeteria or vending machines, provide healthy options. Get rid of the junk. Encourage occasional web surfing. Don’t get me wrong, chronic web surfing is a productivity killer. However, research shows that occasional, passive web surfing really boosts employees’ moods. “Off the clock”? Encourage employees to disengage from work. The ‘always on’ atmosphere at many small businesses can lead to stress, burn-out and poor employee wellness. Encourage productivity while at the office and encourage employees to disconnect from work during off-hours. Leadership can set the example by leaving at a reasonable time and limiting non-urgent communication outside of business hours. 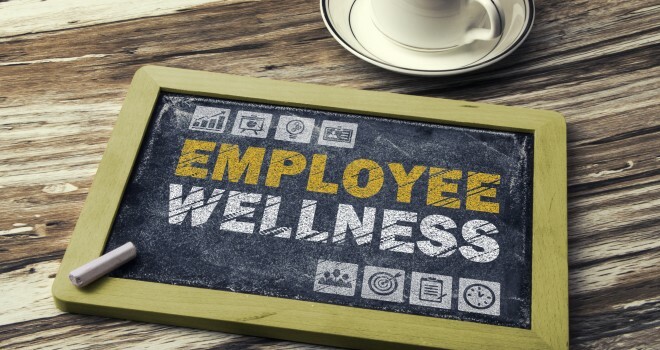 Whatever you as a company decide, decide to do something to actively promote the health and mental well-being of employees. Fraud is an ongoing concern for practically every industry today. However, construction firms have historically been especially susceptible to an ever evolving number of fraudulent schemes. While we would all like to believe that our employees are loyal and working for the benefit of the organization (and most of them probably are), there are still many reasons why your employees may commit fraud and several ways in which they might do it. Even more so, collusion between employees and suppliers and even between owner representatives and subcontractors gives ample reasons to be on guard. Prevention and detection are crucial to reducing these potential types of losses. Every organization should have a plan in place as preventing fraud is much easier than recovering losses after a fraud has been committed. Fraud comes in many forms but can typically be broken down into three categories: asset misappropriation, corruption and financial statement fraud. Asset misappropriations are schemes in which an employee steals or exploits its organization’s resources. 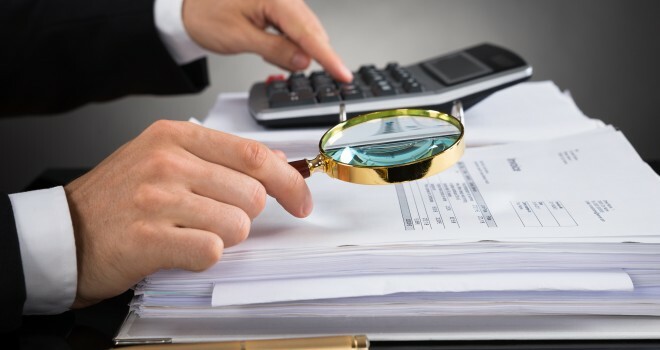 Examples of asset misappropriation are stealing cash before or after it’s been recorded, making a fictitious expense reimbursement claim and/or stealing non-cash assets of the organization. Corruption schemes happen when employees use their influence in business transactions for their own benefit while violating their duty to the employer. Examples of corruption are bribery, extortion and conflict of interest. Financial statement frauds are schemes that involve omitting or intentionally misstating information in the company’s financial reports. This can be in the form of fictitious revenues, hidden liabilities or inflated assets. It is vital to an organization, large or small, to have a fraud prevention plan in place. The following procedures can help to minimize the potential for fraud in your organization. Know your Employees. Fraud perpetrators often display behavioral traits that can indicate the intention to commit fraud. It is important for management to be involved with their employees and take time to get to know them. Often, an attitude change can clue you in to a risk. For example, if an employee feels a lack of appreciation from the business owner or anger at their boss, this could lead them to commit fraud as a way of revenge. Any attitude change should cause you to pay closer attention to that employee and to look for ways to improve that employee’s experience. Make Employees Aware/Set Up Reporting System. Awareness affects all employees. Everyone within the organization should be aware of the fraud risk policy including types of fraud and the consequences associated with them. Those who are planning to commit fraud will know that management is watching and will hopefully be deterred by this. Honest employees who are not tempted to commit fraud will also be made aware of possible signs of fraud or theft. These employees are assets in the fight against fraud. Implement Internal Controls. Internal controls are the plans and/or programs implemented to safeguard your company’s assets, ensure the integrity of its accounting records, and deter and detect fraud and theft. Segregation of duties is an important component of internal control that can reduce fraud from occurring. Documentation is another control that can help reduce fraud. Make sure all checks, purchase orders and invoices are numbered consecutively. Use “for deposit only” stamps on all incoming checks, require two signatures on checks above a specified dollar amount and avoid using a signature stamp. Also, be alert to new vendors as billing-scheme embezzlers set up and make payments to fictitious vendors, usually mailed to a P.O. Box. Internal control programs should be monitored and revised on a consistent basis to ensure they are effective and current with technological and other advances. Monitor Vacation Balances. You might be impressed by the employees who haven’t missed a day of work in years. While these may sound like loyal employees, it could be a sign that these employees have something to hide and are worried that someone will detect their fraud if they were out of the office for a period of time. Make sure that all employees periodically take paid time off…you may be amazed at what is discovered while others are doing their work. Consult Experts. 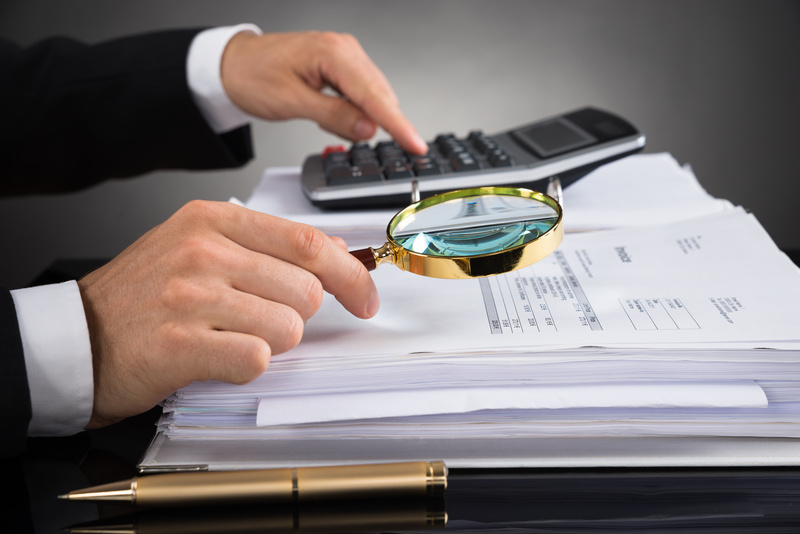 Certified Fraud Examiners (CFE), Certified Public Accountants (CPA) and CPAs who are Certified in Financial Forensics (CFF) can help you in establishing anti-fraud policies and procedures. These professionals can provide a wide range of services from complete internal control audits and forensic analysis to general and basic consultations. In fact, these services might be provided at little to no cost as a part of your regular audit and tax services. Set the Right Tone at the Top. Finally, the importance of setting the proper tone at the top of your organization cannot be over-emphasized when it comes to deterring fraud schemes. If employees see that upper management plays things “fast and loose” and has little regard for following ethical business and financial practices, they are more likely to feel like they are justified in playing fast and loose with the company’s money and assets themselves. Instead, try to be above reproach with regard to how you manage your business and deal with your employees and vendors. When you set this kind of example at the top of your organization, it can trickle down to your employees as well. Mike Crabtree has over 20 years’ experience in the commercial construction industry. He is a lifelong Dallas resident, proud graduate of Southern Methodist University, and Corporate Controller with Triune. Triune is a leading, integrated, design-build General Contractor in the Southwest region of the country. 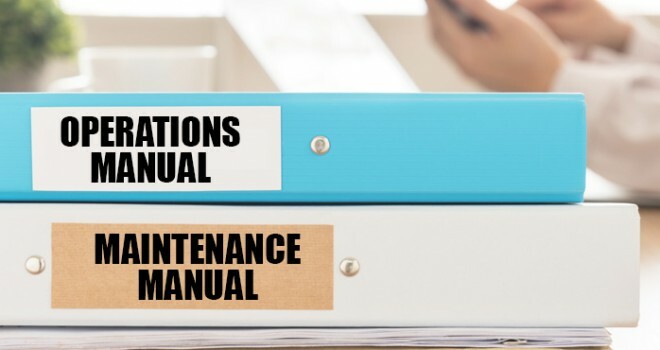 General contractors often struggle with the gathering and delivery of operation and maintenance (O&M) manuals to owners at the completion of a project. This is due in part to the fact that contractors generally wait until the project is completed before considering the assembly of O&M manuals. Unfortunately, the rush of trying to execute the manual can often make closeout a costly afterthought that leaves your customer with a bad last impression. Implement a project information management system (PIM) that is built specifically for construction projects. Before the project starts and as soon as you receive the contract, clarify and understand the requirements of your O&M manuals using contract specifications or best practices from previous projects. Create a digital system where subcontractors can upload O&M manuals as they are completed in a digital format for review and approval. Include the O&M manual requirements as an exhibit in your subcontractor’s contract, so that they can familiarize themselves with what is required and provide it in a timely fashion. As documents are collected, make them easy to find, access and use. Track and report on progress internally and with subcontractors as the manuals come together. Assign deadlines to subcontractors for receipt of all documentation related to their scope of work. Begin organization and assembly of O&M binders as soon as subcontractors begin their scope of work. These steps can help you save up to 80 percent of the time that it currently takes you to deliver O&M manuals to your clients. In addition, your company will leave a good last impression on the owner.